Vaudevillian, juggler, writer and star of stage, radio, silent film and talkies, William Claude Dukenfield created a lasting American comic persona: a misanthrope on the edge of buffoonery, an egotist blind to his own failings, a charming drunk; and a man who hated children, dogs, and women. 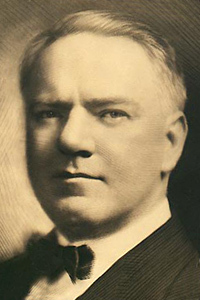 Although the impression that this persona was a reflection of his real life was maintained by movie-studio publicity departments and further established by Robert Lewis Taylor's 1949 biography, W. C. Fields, His Follies and Fortunes, the publication of Fields' letters, photos, and personal notes in grandson Ronald Fields' book W.C. Fields By Himself, has shown a far more caring person. "Get out of here, kid. You smell like peanuts and popcorn." I have a record of his lines from old movies. I got it back when I was in high school in the late 60's.